If there's one rule to remember for this whole thing, it's that a gentleman is never afraid to travel for something awesome. With that in mind, go get the best burger in Bushwick -- it's amongst the best in the city and it's at Fritzl's Lunch Box, deep in Bushwick off the DeKalb stop. 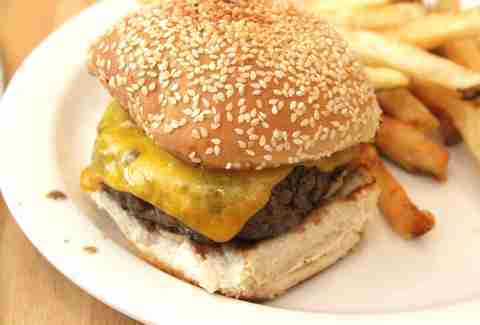 It's a blast of juicy beef that's topped with cheese and almost relish-like chopped pickles. 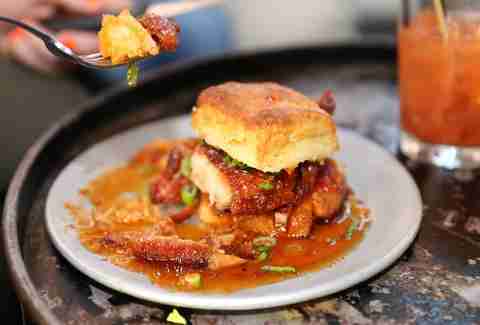 A gentleman washes it down with a craft beer like Westbrook's One Claw. 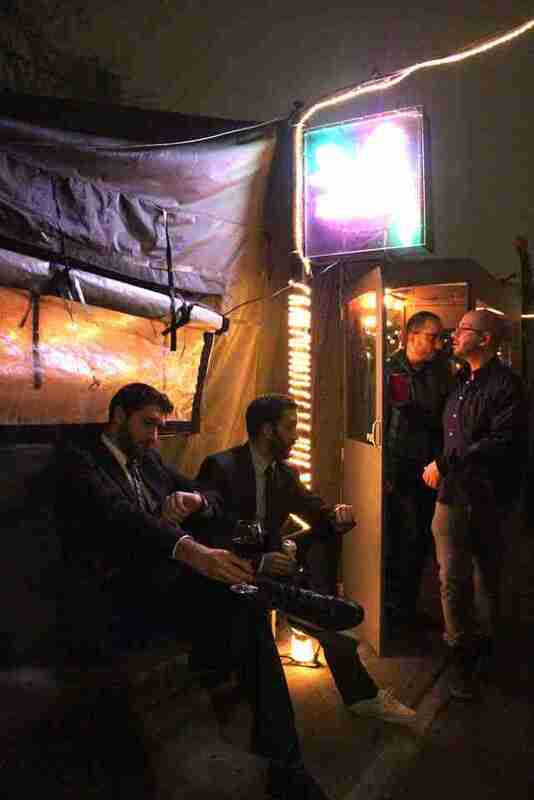 A gentleman always knows it's wise to embark on a stroll after a burger -- it's the perfect time to contemplate the finer things in Bushwick whilst taking in the deafening noise of sirens, PA systems from the late '80s, and a fine cigar. 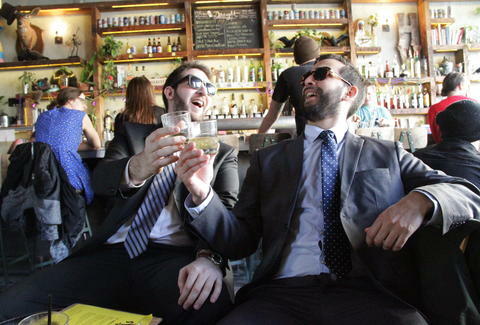 The stroll should also end in cocktails; cocktails from Pearl's Social & Billy Club, specifically. 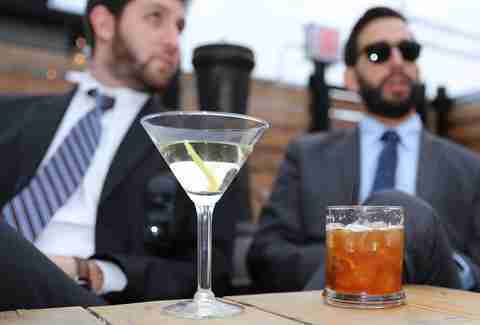 It's a warm, wood-accented establishment that whips up delectable libations including two that a gentleman won't go astray ordering: The Amphion or Numero Dinero, a pair of refreshing concoctions that, yes, are brightly colored. Because a gentleman's never afraid of a brightly colored drink. Except Blue Hawaiians. Those are gross. Did you think we were going to do a Gentleman's Guide without going to a whiskey bar? We're not. 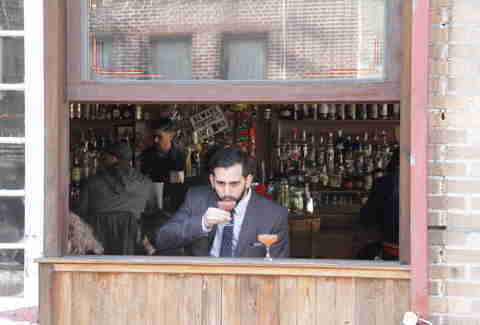 Gentlemen are known for their love of whiskey, and Heavy Woods is the place to get it; their selection offers Scotch, single malts, blends, bourbons, and ryes, and they also dish out the most mouth-watering chicken biscuits in all of Bushwick. Constructed with hand-made pepper jelly, cilantro, and Maldon sea salt, a gentleman would be totes remiss to not complement a fine whiskey with this Southern masterpiece. Because spending a whole day inside drinking and eating is reserved for roughians and people from Minnesota, a gentleman always knows a good outdoor spot. Enter: The Rookery, a large bar with an expansive, fire-pit aided outdoor space, and an expertly curated cocktail list. Try the Highland Boy: Cragganmore 12, Heering, Stone's Ginger Wine, Ramazzotti, and OJ. Yessir, I do believe I'll have another. Although money is no option for a true gentleman, being frugal and making smart economical decisions is a skill possessed by every cavalier drinksmith. 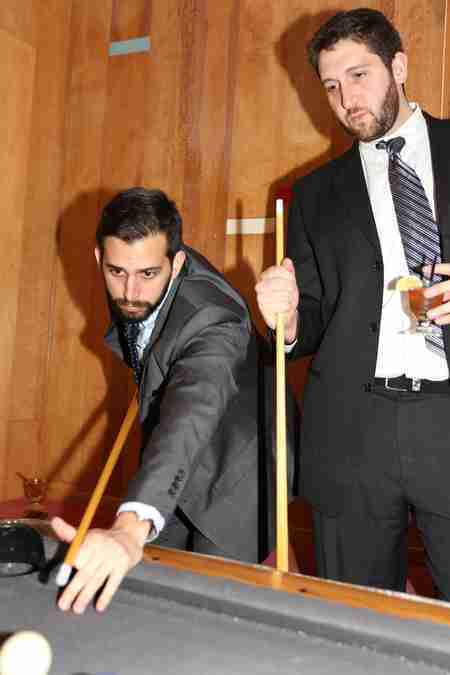 For a $5 cocktail happy hour that runs until 9pm and billiards for a buck, you'll naturally want to swing by Welcome To The Johnsons. The second iteration of the LES staple, Bushwick's version is much larger and comes correct with a sleek, modern, art-deco interior that looks like a hotel lounge you'd find in 1950s Miami, minus the oversized suits and comically large cigars. 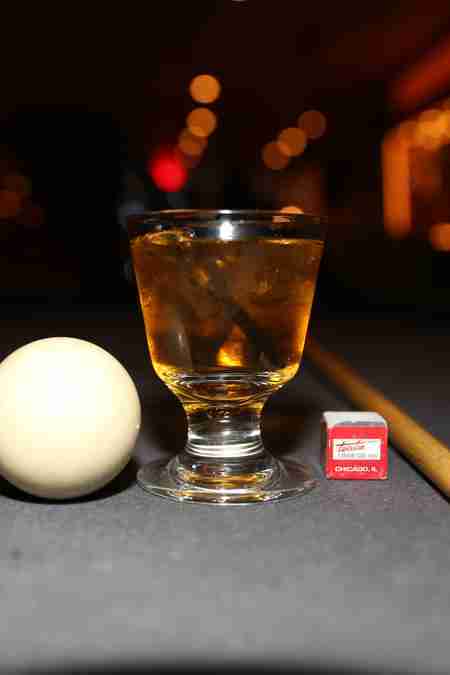 Order the Sazerac Sling, play some pool, then step outside for a regular-sized cigar. 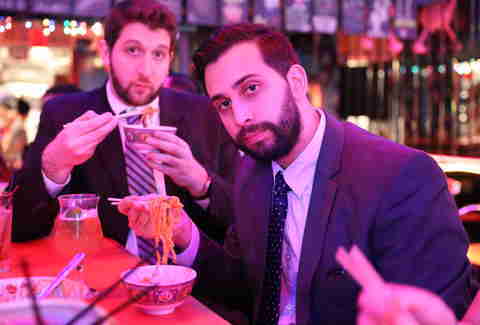 If there's a single spot a gentleman should grace in Bushwick, it's the acid trip also known as Asian-fusion spot King Noodle. While a gentleman is above eating Doritos with his hands (too dusty! ), putting them in his kimchee carbonara and eating them with chopsticks is totally on his level. Also, the mapo tofu cheese fries are simply not to be missed. 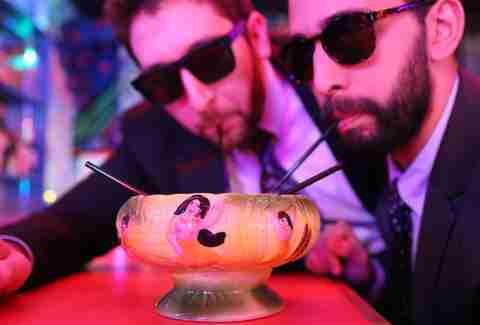 A gentleman always looks super-cool when going splitsies on a Scorpion Bowl. Their flaming one is exemplary. 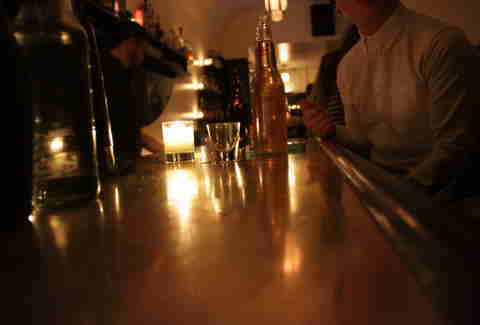 Before immediately rushing off to shove his refined and expertly trimmed face full of more food, a gentleman should stop by The Narrows, one of Bushwick's OG cocktail bars, for a Green Flash Rayon Vert, a Penicillin, and some mood lighting. 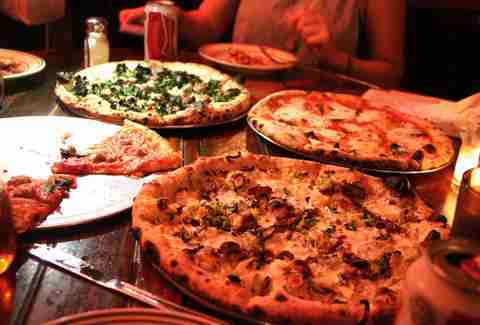 A gentleman knows there will be a wait at Roberta's, so he's not upset when he gets there. Patiently lead your party to the Tiki hut out back, and order a round of chilled Lambruscos. After a brief but pleasurable wait of no less than two hours, you will be seated, and you will be fed amazing pizzas, like the Good Girl with kale, Taleggio, garlic, chili, and pork sausage, and pasta like the oxtail cavatelli with horseradish and celery. A gentleman certainly knows when to call it a night, at which point he admires the art, gets an Uber, and goes home. Under no circumstances does he score Molly and go to an underground art opening or dance club. Enough is enough. Alex Robinson is an Editor at Thrillist and he actually got home in a 1992 Lincoln Town Car Limo, which, let's be honest, is totally baller. Follow him on Twitter. 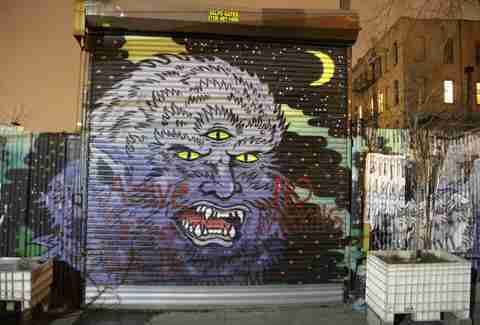 Andrew Zimmer is Thrillist's NYC Editor and he finds that three-eyed werewolf rather terrifying and undignified. Follow him on Facebook, Twitter, and Instagram.